I'm on my 4th Xbox 360, which is bad enough, but now my current console stopped reading discs. Neither DVDs or Xbox 360 games will even acknowledge that they're in the disc drive. I'm out of warranty with Microsoft and I'm out of warranty with the Best Buy where I bought it (by 2 months). In all of my previous 360 console deaths I had a warranty with Best Buy, so I would take it in and they would give me a brand new console. This time I'm out of luck. That means I can either pay $100 to Microsoft so that they can maybe fix it in 2-3 weeks, buy a new console for $300, or try to do some home repairs. You bet I'm going to try the home repairs instead of sending my 360 away. It still works great for streaming Netflix and other videos from my PCs. All of the games on the hard drive work too. The only thing that stopped functioning is the disc reader. I'll dive in and try the old Playstation trick of cleaning the laser head. If that doesn't work it'll be time to pony up the $300 for a shiny new console. 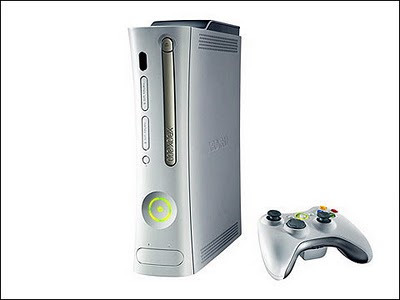 Seriously though, I don't want to spend more money to get my fifth Xbox 360 system. It's ridiculous. I have often wondered how much of the Xbox 360's lead on the PS3 in terms of consoles sold can be attributed to people having to buy it multiple times due to faulty hardware. It's completely anecdotal evidence on my part, but still, 5 Xbox 360s is a lot.